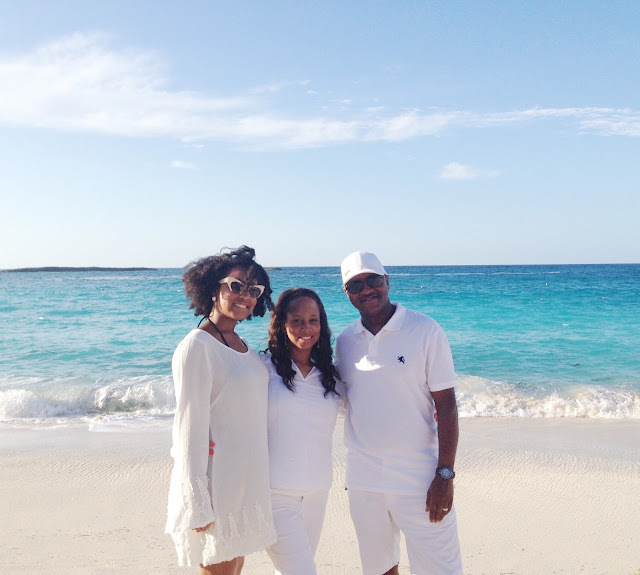 I couldn’t tell what I was more excited for – vacation or seeing my parents. We didn’t have an itinerary for this trip. 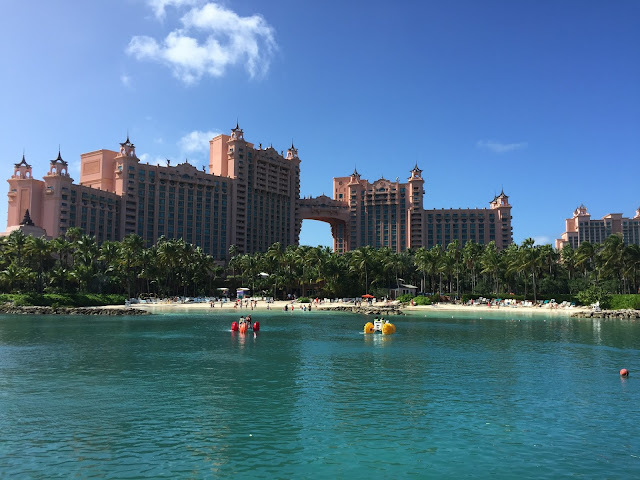 My parents had been before but this was my first time visiting Atlantis Resort. And truthfully, all I wanted to do was sip an icy drink on the beach. And the first day we did just that. We frolicked on the semi-private area of the beach on Paradise Island and sipped on Miami Vice daiquiris. Tropical libations and adventure paired with this unreal view? I quickly knew the Atlantis had all the components of an ideal family vacation. 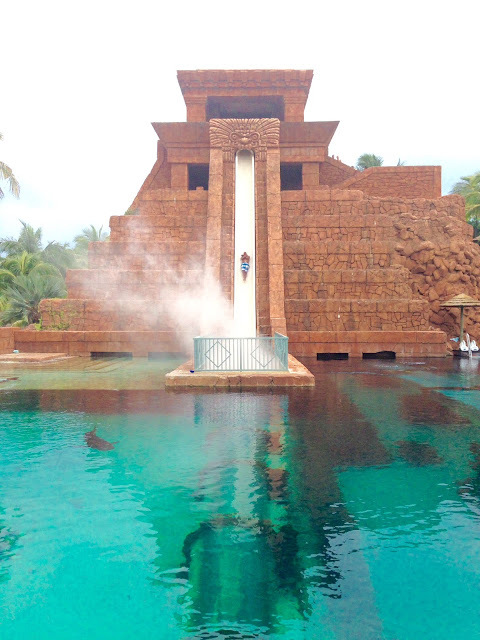 Now, I don’t care how tough or cool you think you are, no one can ignore their inner thrill seeker when it comes to the iconic Mayan Temple water slide. 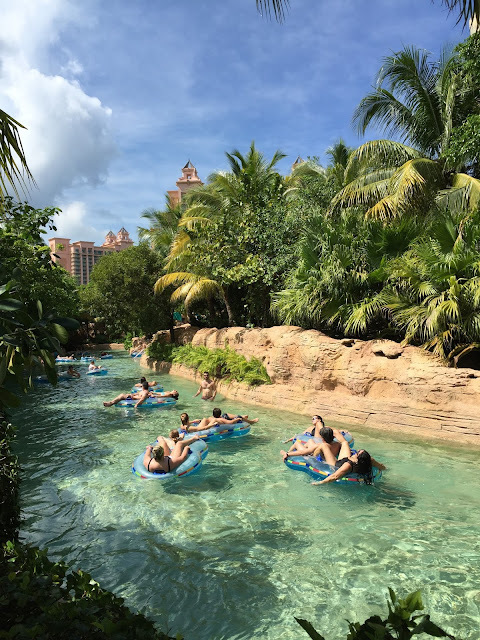 But if you must, there are pools and river rides at Aquaventure (the largest water park in the Caribbean), or relaxation at the pristine beach. 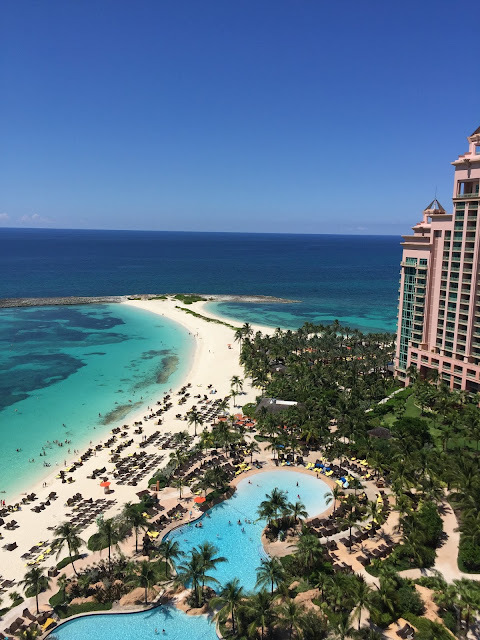 Atlantis Resorts offers fun for the whole family. Clichè, I know, but it’s true. There are 21 restaurants and 19 bars, spas, casinos, a nightclub, and an adults only pool at The Cove Atlantis – just to name a few. 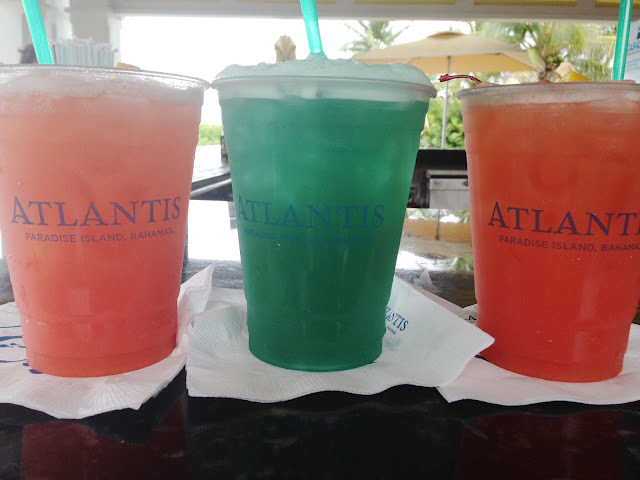 No matter what size party or budget, The Atlantis can accommodate all. How are you celebrating the milestones in your life? From weddings and honeymoons to family reunions, and everything in between, Atlantis Resort welcomes all reasons to celebrate! Follow along at @AtlantisResorts and tag your special moments with #AtlantisCelebrations. Yes, it was so beautiful! And so nice to meet another NYC blogger. I love your site.